MEPs discussed the consequences and impact of the Facebook-Cambridge Analytica data privacy breaches on Monday with experts and three Facebook representatives. 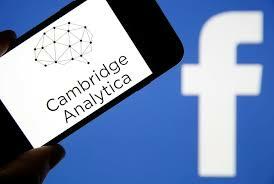 At the second Facebook-Cambridge Analytica hearing MEPs assessed the scandal’s impact on privacy and data protection, electoral processes, consumer trust in digital platforms and cybersecurity. The speakers included several data protection experts and activists, in addition to three Facebook representatives from the company’s public policy team. Ahead of the hearing, MEPs expressed their disappointment at Facebook’s failure to send the speakers requested by the European Parliament. A video recording of the hearing will soon be available here. This is the second in a series of three hearings investigating the case. The first hearing took place on 4 June and aimed to better map the case. The third hearing, to be held on 2 July 2018, will focus on possible solutions and EU policies that could remedy the negative consequences and prevent these incidents from happening again. Facebook COO Sheryl Sandberg , and the EU Commissioners concerned have been invited to the hearing. The hearings are organized by the Civil Liberties Committee, in association with the Industry, Constitutional Affairs and Legal Affairs committees. They follow up on the 22 May meeting between the founder and CEO of Facebook, Mark Zuckerberg and EP President Antonio Tajani, political group leaders and the Chair and Rapporteur of the Civil Liberties, Justice and Home Affairs Committee.